Mist collection is the process of removing (collecting) oil, water, and/or other coolant mist from the environment during machining and lubrication operations. 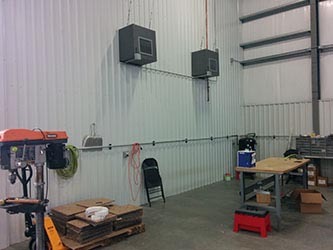 Manufacturers and machine operators generally use mist collectors on metal and plastic working tools to provide a cleaner work environment for machine operators. These collectors significantly reduce the effects of the oil mist by minimizing the exposure to oil residual and keeping the indoor air quality above regulation. Sentry Air’s Source Capture Mist Collectors are engineered to conveniently mount to existing machinery without costly alterations. 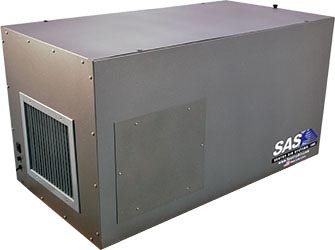 These efficient systems include a washable MIST filter, activated carbon pre-filter, HEPA filter and utilize a unique process of collecting and recycling the coolant mist back into the enclosed machinery. Employers should install a mist collection system in order to improve employee health and safety, reduce worker lawsuits and liability, and meet government regulations restricting exposure to oil mist. Exposure to oil mist can result in eye and skin irritation, shortness of breath, vomiting, fever, rapid heartbeat, headaches, fatigue and burning sensation in mouth, throat or stomach. Oil mist exposure can also lead to an increased risk of cancer and diseases of the skin and respiratory system. 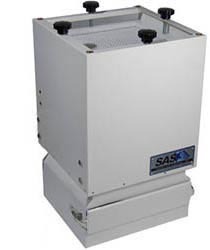 Sentry Air’s Ambient Mist Collectors are designed to capture and collect excess oil, water, or lubricant commonly found in machining and tooling shops. “Ambient” air cleaning typically refers to filtration systems that clean the entirety of a room or building. This industrial air cleaner offers high efficiency, low power consumption, low maintenance, quiet operation and economical installation and usage. Oil mist, “mist”, is the aerosol that is formed when oil, water or coolants are used for lubricating or cooling during the machining of metals and plastics. The oil “smoke” or “mist” is the process of the lubricant contacting a hot surface, vaporizing, then condensing to a sub-micron level. Due to repeated exposure and prolonged setting, oil mist can be extremely toxic to the user’s health, such as eye and skin irritation, shortness of breath, vomiting, fever, rapid heartbeat, headaches, fatigue and burning sensation in mouth, throat or stomach. Not only does oil mist affect the health of the operator, but it can also disrupt the production, create slippery floors and oil-coated walls that can create safety hazards and increased maintenance. In today’s metalworking operations it is not uncommon to see machinery that is controlled by extremely vulnerable electronics and circuit boards. 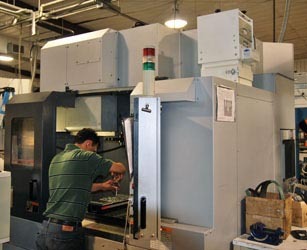 Exposure to more than normal amounts of oil to these sensitive electronics often lower the quality of production and in some cases can cause disruptions. OSHA (Occupational Safety and Health Administration), NIOSH (National Institute for Occupational Safety and Health) and ACGIH (Association Advancing Occupational and Environmental Health) all restrict the amount of oil mist employees are exposed to. The chart below details each organization’s limit to oil mist exposure. If employers do not follow OSHA guidelines, OSHA can write citations which may result in fines.